Rita Anne’s Ham | DidjaEat? 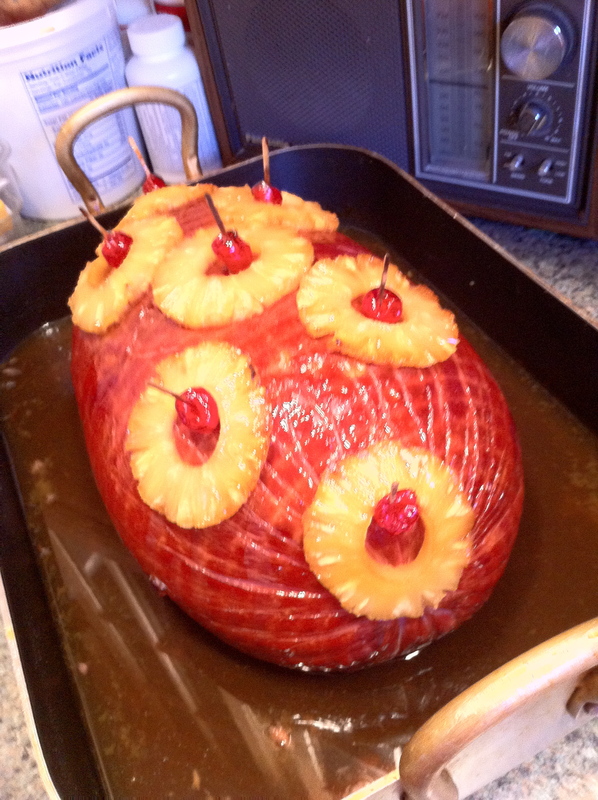 My mom makes a mean ham. So, here it is! I had to take it from this angle because we had started slicing small pieces from the other end! Ha! I am happy to say I ate my weight in ham sandwiches. On rye, of course, what else! Posted on January 6, 2011, in home cooking and tagged ham, ham sandwich, holiday cooking, holiday ham. Bookmark the permalink. Leave a comment.